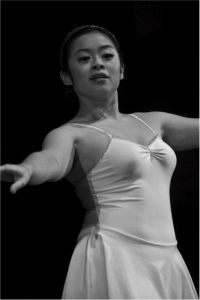 Phoebe Chiew is a registered teacher with the Royal Academy of Dance and has been assisting and teaching since the age of 15. Starting dance when she was just four, Phoebe was awarded a Distinction in Grade 8 Ballet, a Merit in Advanced Foundation Ballet, a Merit in Advance 1 Ballet and has completed the RAD Certificate of Ballet Teaching qualification. To continually expand her knowledge in dance instruction and study other genres, Phoebe has attended the Contemporary Dance Workshop with Alberto in 2008, Contemporary Dance Workshop in Short & Sweet Festival 2009 and the RAD Continuing Professional Development course in Birmingham, England in July 2011.